Can I still request materials from other libraries? You can borrow books from Summit libraries and have them sent to one of the OSU Libraries. 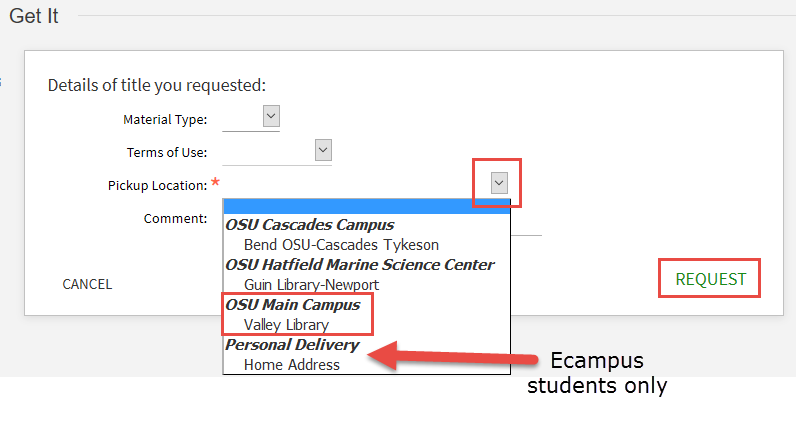 To search Summit, enter a search and then choose the OSU Libraries + Summit scope from the drop-down menu. To request an item from Summit, click on Request this Item. 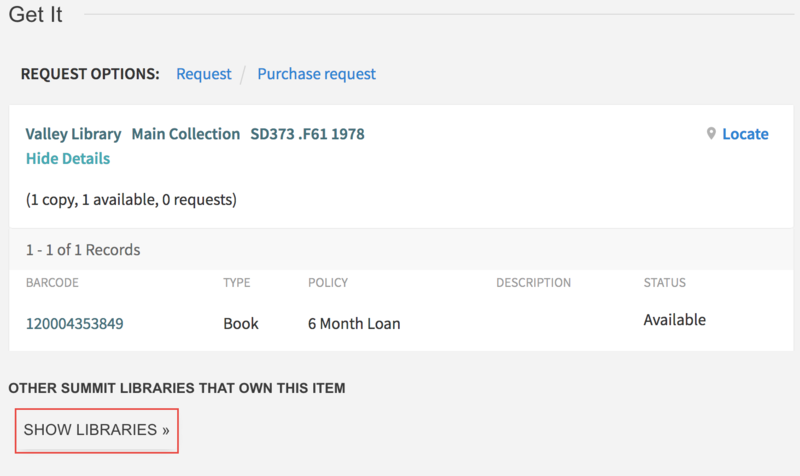 To see which libraries own the item, click on the title of the book. Then click on the Show Libraries button. To request the item, click on the Place Summit Request link and choose your Pickup Location. Click on Request. You will be notified via email when your item has arrived and is available for pick-up.